We intend to drive forward a low-carbon economy by motivating communities and industries to have a zero-waste mindset. We start with taking something that would have been wasted and make something awesome out of it. As a leading model of organic waste recovery and reuse, we advocate for increased awareness and actions that lead to more sustainable communities. We've partnered with companies like General Motors and Blue Cross Blue Shield, to pick up their food waste. The Detroit Zoo, having access to herbivore manures. And, local breweries, collecting spent grains. 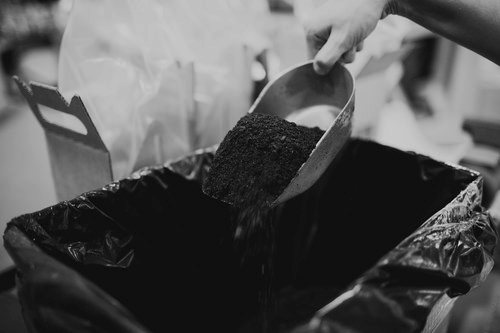 Rather than the waste going into dumpsters to drive off into a landfill, we take all those elements to produce high-quality compost for local urban gardeners and farmers. As providing rich compost is our strength, the City of Detroit is the fuel which ignites our passion. We strive for our efforts to help blight removal and neighborhood beautification. Build strong ties with neighbors, providing environmental awareness and education and creating long-term employment opportunities.